The company I've started, Energy Cache, came out with top honors at the recent Tech Coast Angels pitch competition. 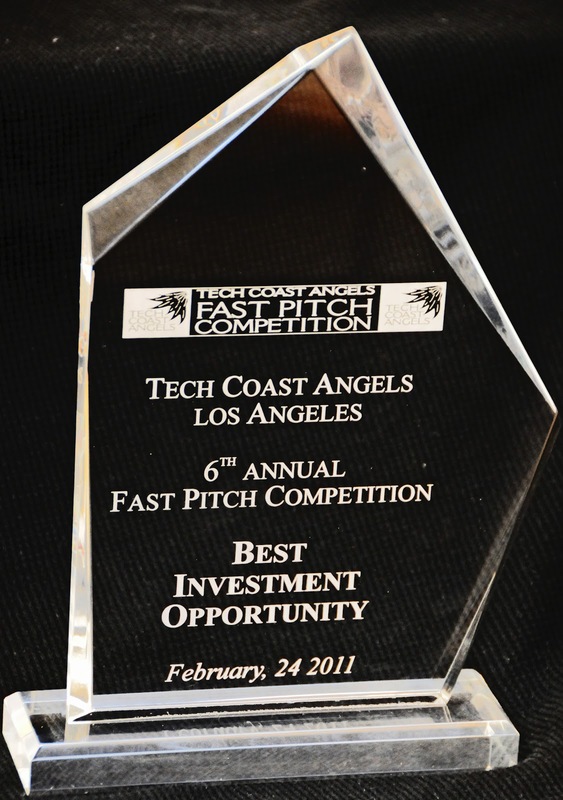 Considered the "Best Investment Opportunity" of 2011, the award was granted to Energy Cache from a very competitive field of around 170 entrants. It's great to be receiving this recognition from the Tech Coast Angels as this pitch event is a premier event in Southern California's technology scene. What's particularly gratifying is that the competition, at this level, was extremely talented, and so to actually take away the top prize is a real privilege. Energy Cache is an early stage technology company, backed by Pasadena incubator, Idealab. Our extremely low-cost energy storage solution improves grid reliability, better manages the transmission network, and enables wide-spread adoption of renewable energy at the lowest possible cost to consumers. Energy Cache was founded to provide a solution to the grid's problem of increased volatility. Mass adoption of renewable energy, the fact that peak demand continues to grow faster than average demand, and the fact that it is getting harder and harder to build transmission lines, is really driving the need for energy storage at a very large scale. Without storage, these problems will be solved the way the grid has always solved problems - by building more capacity and putting in greater capacity margins. This will result in far greater electricity prices than without storage. There are a whole bunch of other advantages for storage, which I'm pretty excited about, but this boils down to building the grid that we need for the future. Idealab's mission is to create and operate pioneering technology companies. Founded in 1996 by entrepreneur Bill Gross, Idealab has founded more than 75 companies including eSolar, Inc., Energy Innovations, Overture Services, Inc., CitySearch, Picasa and Internet Brands. Current operating companies are providing innovative technology solutions in industries such as software, search, robotics and alternative energy fields. 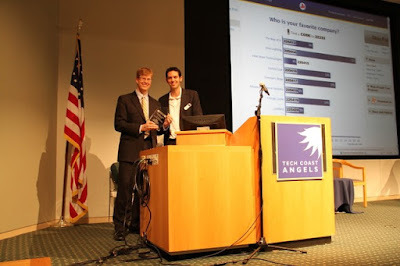 So, congratulations to the other finalists in the competition, and thank you to the Tech Coast Angels for putting on the event! Congratulations on this award. It has made me even more intrigued about your idea!